Wilkinsburg Community Ministry - a 501 (c)3 Nonprofit Agency in Wilkinsburg, PA Providing Social Services in the Pittsburgh, PA Region. A special opportunity to support WCM! On Tuesday, May 7, the Pittsburgh Foundation will host a Critical Needs Alert online Giving Event to support basic needs and the safety net of essential human services in Allegheny and Westmoreland counties. This year’s Critical Needs Alert will take place online from 8:00 AM to 11:59 PM with a minimum $25.00 donation. The Pittsburgh Foundation and its donors will provide $738,000 of incentive funds for Allegheny County. Every gift unlocks matching funds from the match pool. WCM thanks you for your generosity. 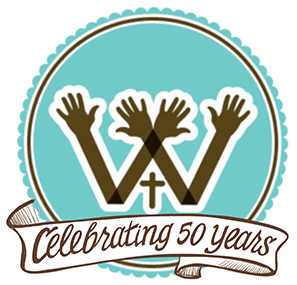 Wilkinsburg Community Ministry (WCM) is a 501(c)(3) community nonprofit. Since 1968, WCM has provided such essential basic necessities as food, clothing and energy assistance to Wilkinsburg residents. We serve approximately 5,000 residents per year, including senior citizens, citizens with disabilities, at-risk youth and families who are economically challenged, underemployed or facing emergency situations. Wilkinsburg’s challenges are well publicized. In the past forty years, the community has seen a decline in income and the departure of businesses. Wilkinsburg residents – current and former – continue to work to revitalize their borough, rejuvenate the education system and to solve the problems associated with poverty. The outcomes of our programs include reducing hunger in Wilkinsburg, ensuring the health and well-being of our senior citizen neighbors, helping economically-challenged families have basic necessities, such as food, diapers, and clothing, and keeping Wilkinsburg streets safer through partnerships with educational and after-school youth programs. We welcome you to learn more about our programs – Urban Survival and the Youth Meal Partnership. We urge you to get involved in the Wilkinsburg community by volunteering and/or making a donation. For more details, please select the dropdown menu item "Info" and then choose "Community Links." Wilkinsburg Borough hosts free, fun days of activities each month for seniors. For more details, please select the dropdown menu item "Info" and then choose "Community Links." Your Amazon Smile purchase benefits WCM ! 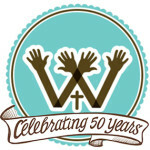 WCM is on Facebook & Twitter! Like Us or Follow Us! Do You Have An Old Car You’d Like To Get Rid Of?